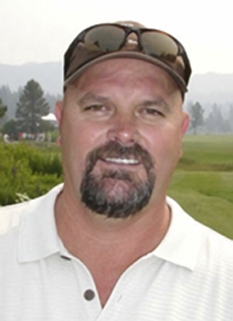 David Wells, nicknamed "Boomer", is a former Major League Baseball pitcher. 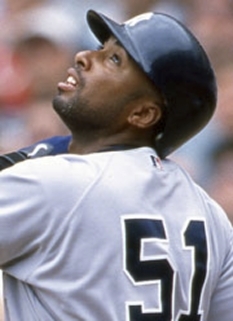 Wells was considered to be one of the game's better left-handed pitchers, especially during his years with the New York Yankees and the Toronto Blue Jays. Wells grew up in the San Diego neighborhood of Ocean Beach and attended local public schools. He graduated from Point Loma High School in 1982. 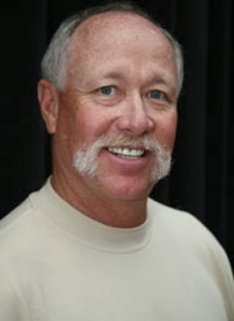 He was a self-described "gym rat" who spent most of his time at the Ocean Beach Recreation Center and Robb Field. Baseball facilities at both Point Loma High School and Dana Middle School are named for him. 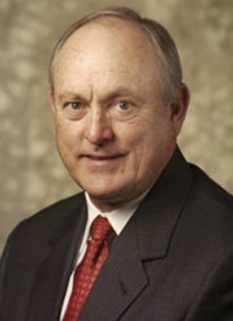 Wells was a journeyman starter for the first eight seasons of his career. He debuted for the Toronto Blue Jays in 1987 as a reliever and did not secure a job as a full-time starter until he was 30 years old, despite pitching well most of the time and helping the Blue Jays win a World Series. He was released by the Blue Jays during spring training in 1993 and was signed by the Tigers. 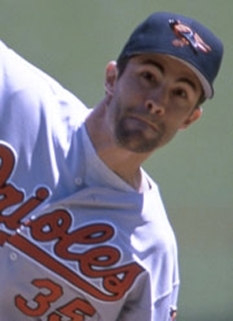 He emerged as a top-flight pitcher in 1995, when he was 32. After starting the year at 10-3 for the last-place Detroit Tigers and making his first All-Star Game appearance, he was traded to the Cincinnati Reds. He finished that season with a 16-8 record and a 3.26 ERA. At the end of the season he was traded to the Baltimore Orioles for Curtis Goodwin and minor leaguer Trovin Valdez. 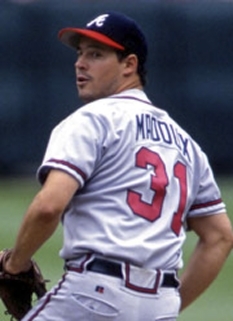 In 1996 he pitched then-career high 224 innings but finished with an 11–14 record. Wells took the mound wearing an authentic 1934 Babe Ruth hat, which Wells bought himself. Manager Joe Torre made Wells take it off after the first inning because it didn't conform to uniform standards. Wells then blew a 3–0 lead as the Cleveland Indians won 12–8. After posting a 16-10 mark in 1997, Wells pitched brilliantly in the Yankees' record-setting 1998 season. He rang up an 18-4 record, finished fifth in the league in ERA (3.49) and was third in voting for the Cy Young Award. On May 17, 1998, Wells pitched the fifteenth perfect game in baseball history, when he blanked the Minnesota Twins, 4–0. Wells attended the same San Diego high school, Point Loma High School, as Don Larsen, whose perfect game for the Yankees in the 1956 World Series is the only perfect game ever thrown in postseason play, and was until then the only perfect game thrown by a Yankee. David Cone would add a third Yankee perfect game in 1999. Wells claims that he threw the perfect game while being hung over. On September 1, 1998, Wells came close to recording a second perfect game—an unprecedented feat for an individual pitcher's career, not to mention a single season. Pitching against the Oakland Athletics, he allowed no walks and only two hits, the first of which coming with two outs in the seventh inning. 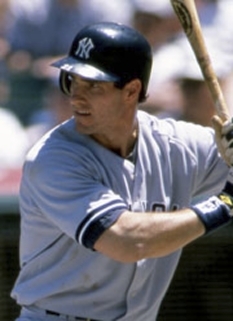 After the season, Wells returned to the Blue Jays as part of a trade for Roger Clemens, along with Homer Bush and Graeme Lloyd. He continued to win north of the border, with records of 17–10 and 20–8 over the next two years. He and pitcher Matt DeWitt were then traded to the Chicago White Sox. The deal did not turn out particularly well for the White Sox, however, as Wells struggled with back problems in 2001 and pitched only 100? innings. After the season's end, he returned to the Yankees. On September 28, 2003, the final day of the regular season, Wells earned the 200th win of his career. He was also criticized by Yankee fans for not being able to pitch during Game 5 of the 2003 World Series. He started the game, but left during the first inning because of a bad backache, which caused Torre to use his bullpen to finish the game. The Yankees ended up losing the game and the series to the Florida Marlins in six games. 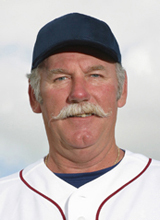 Wells bounced from team to team in the final years of his career, finding moderate success in his time with the San Diego Padres, Boston Red Sox and Los Angeles Dodgers. On March 18, 2007, it was revealed that Wells has been diagnosed with Type 2 diabetes. This form of diabetes is more closely associated with lifestyle factors, such as diet, but the condition of people with a genetic disposition for diabetes can be exacerbated with chronic high blood sugar, as insulin resistance can be an adaptation of insulin in the wake of too-high blood sugar over time. 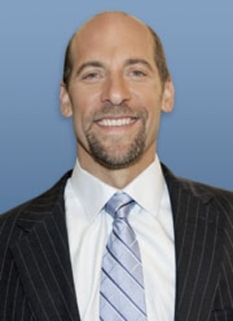 Wells currently lives in San Diego with his wife and two sons. DISCLAIMER: PFP Sports Talent Agency does not claim to represent itself as the exclusive agent for David Wells. PFP Sports Talent Agency is a booking agency that represents organizations seeking to hire pro athletes and sports personalities such as David Wells for speaking engagements, personal appearances, product endorsements and corporate entertainment. Fees on this website are estimates and are intended only as a guideline. Exact fees are determined by a number of factors, including the location of event, the talent’s schedule, requested duties and supply and demand. PFP Sports Talent Agency makes no guarantees to the accuracy of information found on this website and does not warrant that any information or representations contained on this website will be accurate or free from errors. We are often asked how can I find out who is David Wells's agent? To find David Wells appearance fees and booking agent details, you can contact the agent, representative or manager through PFP Sports Talent Agency for speaking fee costs and availability. PFP Sports Talent Agency can help your company choose the ideal sports personality for your next marketing campaign. To hire David Wells for an appearance, speaking event or endorsement, contact David Wells's booking agent for more information.